Coffee Culture Lounge with 350 types of Food Range in Udaipur. Udaipur. 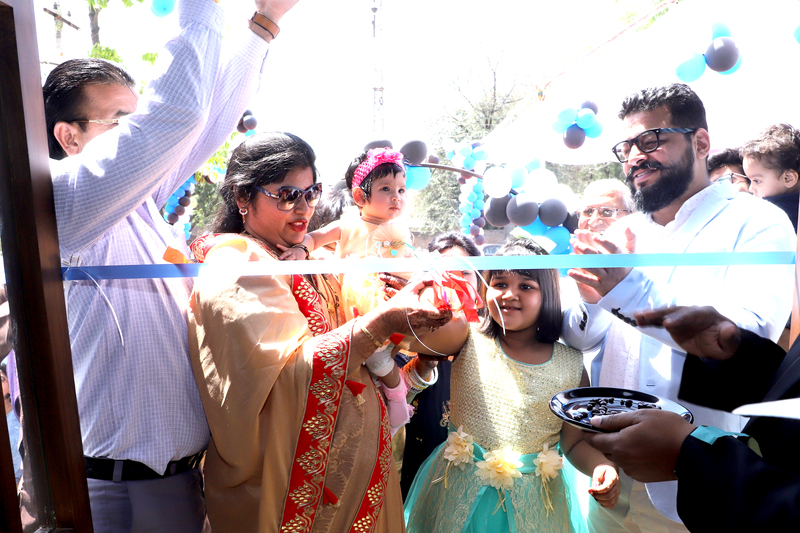 In the Udaipur, near Shobhgpura Circle coffee culture, the famous Indian restaurant The lounge was inaugurated by Sonakshi and Dhruvika Jain girls by cutting off the Ribbon on Ramnavmi. Director of Coffee Culture Co. Mr. Gaurav Narang said that the company, which had started in Surat in 2003, today started its 20th outlet in Udaipur. This is the third outlet after Jaipur and Bhilwara in Rajasthan. Coffee culture partner Dilip Mehta and Inder Jain said that there are 350 types of pure vegetarian food ranges including cold coffee, Iranian tea, starters, zero size salad, Mexican, Italian, Chinese, desert non-alcoholic mocktails, live fire shots, live coffee brewing are few. Dilip Mehta said that on the inauguration, the first 100 customers were given gift coupons of food with validity for a year. In the evening of the grand musical night, Russian alien ladies made &served non-alcoholic drink go-go shorts all memorable for guests. Panku Das told that we use the term restaurant for the real experience of the customers. According to the senior advocate Sunder Lal Mandavat, the opening of this renowned restaurant Lounge will make the visitors enjoy the taste of the quality of food variants, enjoying its charming interior. Guests of the company and many dignitaries from the city were present on the occasion of the launch.